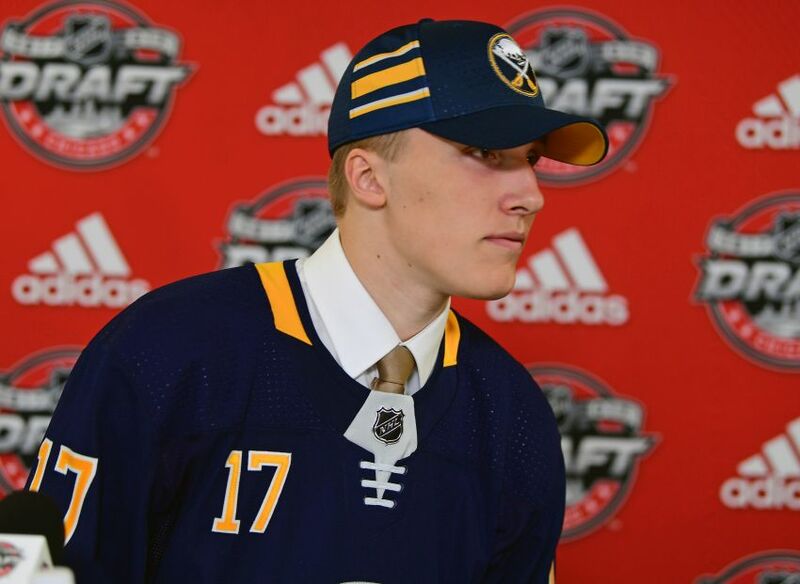 BUFFALO – The Sabres have signed prospect Ukko-Pekka Luukkonen, the top-rated European goalie in last year’s NHL Draft, to a three-year, entry-level contract, the team announced today. The Sabres picked Luukkonen, 19, in the second round, 54th overall. He spent most of last season at home in Finland playing for Leki, going 11-11-2 with a 2.92 goals-against average and a .909 save percentage for the second-division club. The 6-foot-4, 198-pound Luukkonen also represented Finland at the World Junior Championship earlier this year in Buffalo. In 2016-17, Luukkonen won a championship with HPK, his junior team, leading the league with a 1.78 goals-against average in the regular season and a 2.01 mark in the postseason. Jake Oettinger was the top-rated goalie last year…Luukkonen was #2. I Think the article said EUROPEAN…..